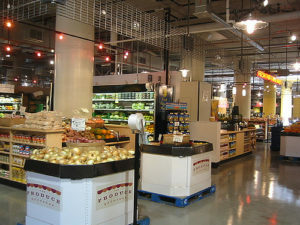 Stop by the produce exchange for some fresh fruit! Join us on March 9th as we explore all of the awesome vegan options at Midtown Global Market. Pick and choose dishes from Hot Indian Foods, Holy Land Deli, Taquería Los Ocampo, Moroccan Flavors, Safari Express, Taco Cat, Salsa a la Salsa, Manny’s Tortas, Pham’s Rice Bowl, and more! Travel around the market, pick out your meal, and then find a seat with our group at a table in the section across from Intown Sushi! Space is first come, first served. Invite friends on Facebook. Questions? Email info@exploreveg.org.